Continuing with our commitment to Diabetes Alert Month we bring you week 4, with a new recipe and information about the early warning signs of diabetes. Here are some tips to help you reduce your risk and the management of type 2 diabetes. Eat a balanced, healthy diet. Reduce the amount of fat in your diet, especially saturated and trans fats. Eat more fruit, vegetables and high-fibre foods. Limit processed foods and ‘Convenience meals’. It’s best to cook for yourself using fresh ingredients whenever possible. Korean Beef and cauliflower rice. 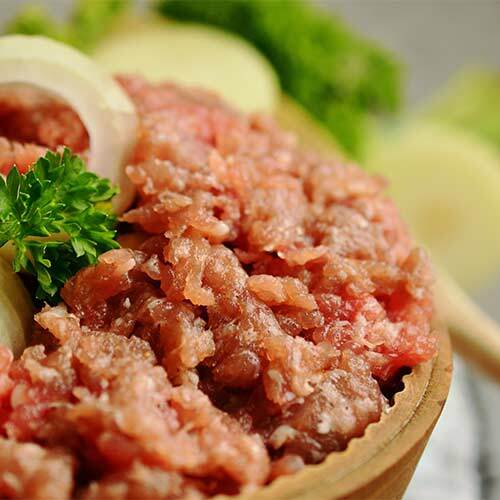 This low carb Korean beef recipe cooks ground beef with a hint of sweet and spicy seasonings. It's a dish that can be easily prepared and served within 30 minutes. Warm a large skillet over medium with 2 tablespoons olive oil. Add ground beef and garlic, cook until brown. Add stevia, soy sauce, Korean 7 Spice Blend, and red pepper. Simmer and stir for a few minutes to blend seasonings. Remove ground meat from the pan, cover and set aside. In the same pan add the onion, cook till tender and translucent. Add the cauliflower rice, stirring occasionally, cooking till tender. Season with salt and pepper to taste. Serve over ground meat over the cauliflower rice and top with sliced green onions. Our Korean 7 Spice Blend was specially formulated to bring the healthy and natural taste of Korea to your next meal. Great as a condiment for nearly every food including: homemade kimchi, chicken, beef, tofu and eggs. Extensive research confirms the high antioxidant and polyphenol activity found in green tea, and it comes highly recommended as a general cleansing beverage. There are many indications that green tea can help reduce the risk of developing and the management of type 2 diabetes. The long term consumption of green tea is associated with smaller waist circumferences, lower body fat, decreased fasting glucose levels as well as reduced fasting insulin levels.